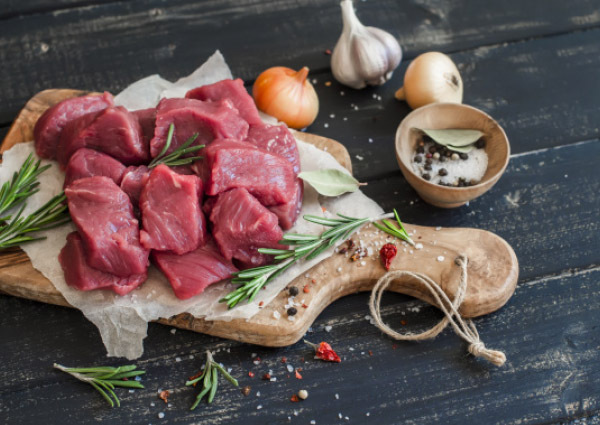 Beef is also a good/excellent source of 10 essential nutrients (i.e. body cannot make them). 1.Combine Kung Pao sauce, water and red pepper in small bowl. Place beef steaks and sauce mixture in large nonstick skillet; bring to a boil. Reduce heat; cover tightly and simmer 45-60 minutes or until beef is fork-tender. 2.Remove beef; keep warm. Add vegetables to skillet; bring to a boil. Reduce heat to medium; cook, covered, 7-9 minutes or until just tender, stirring once. Stir in peanuts. 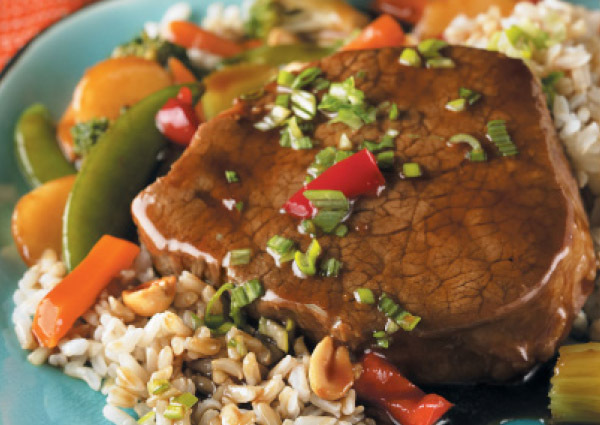 3.Serve steaks with vegetable mixture over rice, if desired.